Home / Shop / Electronics / Ian’s fancy high-tech, custom deezined protoboards! Ian’s fancy high-tech, custom deezined protoboards! 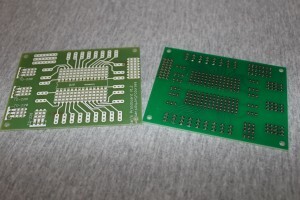 Only available here at Jet Pack Academy, Ian put his decades of experience teaching electronics to good use in custom designing these prototyping circuit boards. Designed for building permanent prototype electronic circuits, the PCB includes the traces silk screened on the top side so you can see what copper runs where. 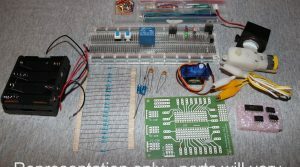 With busses for power and slots for TO-220 cased components (such as power transistors and voltage regulators included in the Analog Electronics Kit), as well as spots for external connectors. It can handle up to a 28 pin DIP chip. 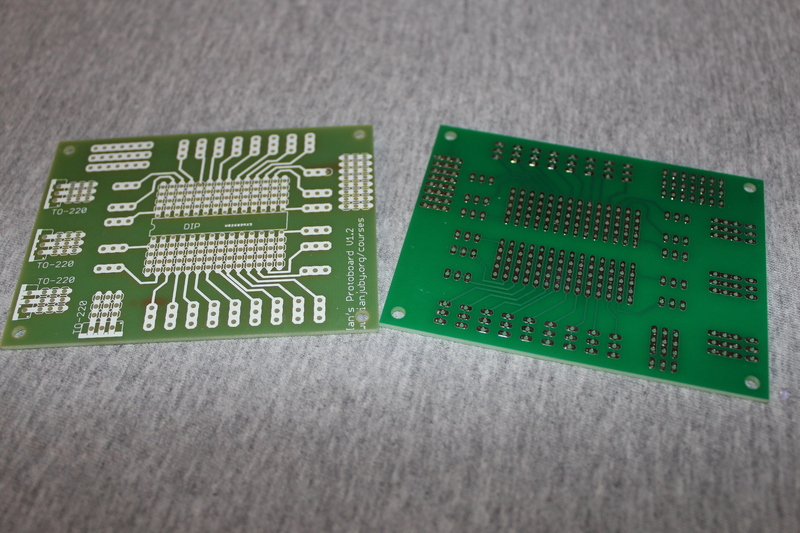 You receive ONE protoboard (two are pictured so you can see both sides) for a mere $4 +$2 shipping. Want more than one? Check out the 5 pack and 10 pack deals. 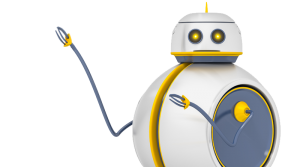 Delivery times: Please allow one week turnaround time. International orders are expected to take 2 to 6 weeks to arrive. 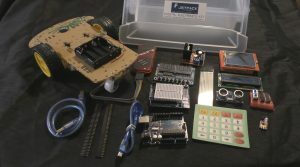 Bundle package: Robotics: Learn by building module 1: Electricity & Electronics with the Analog electronics kit!